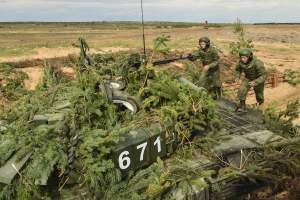 BelarusDigest > Security > Belarus-Russian military exercises: the story still not over? 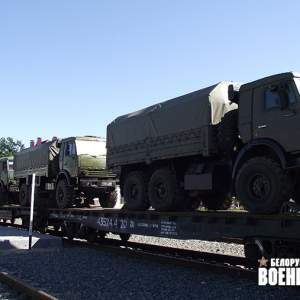 On 28 September, the last train filled with Russian troops that had participated in the West-2017 military exercises reportedly left Belarus. Some hours later, however, Commander–in–Chief of Ukraine’s Armed Forces Viktor Muzhenko disputed the news. He claimed only a few Russian military units had returned to their garrisons in Russia, and the rest of Russian troops had, in fact, stayed in Belarus. Muzhenko’s claims follow a string of other accusations and speculations over possible covert aspects to the Belarus-Russian military drills that made up West-2017. Minsk and Moscow have held the “West” military drills regularly since 2009. Each time the exercises are held, they cause observers to speculate about the hidden, aggressive intentions behind the war games. This year Minsk tried its best to open up the drills to counter negative publicity. Yet, it found this task immensely difficult. IHS Jane’s Defence Weekly, a review that covers security issues, published contrasting statistics on the number of Russian troops involved in the West-2017 military exercises. On 28 September, the review wrote that “estimates ranged from Russia’s official number of 13,000 to more than 100,000.” Huge differences in troop-number estimates among analysts—even after the drills finished—point to a lack of evidence–based expertise on the matter. Of course, confusion about the West-2017 exercises also stems from the Kremlin’s behaviour. Moscow lost no opportunity to exaggerate the scale of the exercises and to make matters ambiguous. While Minsk firmly insisted the exercises are limited to a separatist conflict scenario—meant to resemble conflicts in Kosovo and Ukraine’s Donbas region—on Belarusian territory, Russian military officials have been ambiguously promising to hold military exercises “from sea to sea.” That is, Moscow tried to link the West-2017 exercises with its other military training activities, some as far away as the Arctic. Minsk attempted to dispel Moscow’s hints and ambiguities. All the same, many foreign media outlets, politicians and pundits seemed eager to accept Russia’s more threatening portrayal of the exercises. The Kremlin appears to have succeeded in representing West-2017 as an effective, Russian show of force. The Russian military tasked its psychological warfare division with making the drills appear large-scale. The following two cases discussed below illustrate Russian efforts at sowing confusion over Russian troop numbers. The second case relates to a 14 February news publication on the arrival of Russian First Tank Army units to Belarus. The news caught Minsk by surprise. In a matter of hours, Belarusian military officials dismissed that information. No additional tank units had arrived. Moscow, however, chose to keep the news published on official military websites. The aim appears again to be to spread uncertainty. Meanwhile, Minsk and Moscow can hardly conceal their massive military preparations from Western eyes. First, Western satellites can observe any location in Eastern Europe. Indeed, last year the Belling Cat website authors used satellite imagery to reveal the withdrawal of Russian aircraft which had been temporally based in Belarus. Second, regional and Western countries—both members and non-members of NATO—conduct surveillance flights over Belarusian and Russian territory according to quotas determined by the 1992 Treaty on Open Skies. In exchange, Belarus and Russia—the two countries form one single group under that Treaty—conduct flights over these countries’ territories. Information collected in these flights is fed into a unified data-bank. About three dozen NATO member countries and states aspiring to join the alliance can together conduct more flights and collect more information on the military capacities of Belarus and Russia than vice versa. Indeed, before the beginning of the West-2017 military exercises, on 4–8 September, the US and Ukraine conducted a surveillance flight over Belarus and Russia. That is, Western and regional countries may have doubts about some minor details of the joint Belarus-Russian exercises, but not about their main features. It is logical to assume that intelligence agencies know exactly whether 13,000 or 100,000 participated in the drills, as such things cannot remain concealed under these circumstances. The many opportunities that regional and Western countries had to study the exercises make many statements about the drills by foreign politicians and media look odd. Though Belarus and Russia regularly conduct “West” military exercises causing some negative reactions, this year Minsk faced an unprecedented flurry of negative media coverage, both at regional and global levels. Often, foreign media, politicians and analysts denied any active role for Belarus in the exercises. A case in point is provided by the BBC’s media coverage. At least, on the first day of West-2017, the BBC World Service described the drills in its news summary as “Russian” exercises conducted in Belarus. Even in the cases where Western media mentions Belarus, Russia is discussed first. Never mind the greatest number of troops involved were Belarusian—according to Minsk, more than 7,000 Belarusians trained together with less than 3,000 Russians. 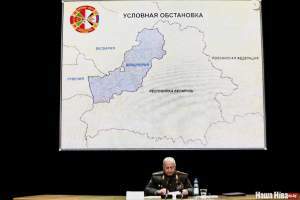 Moreover, the drills were concentrated on Belarusian territory and planning corresponded to standard training scenarios designed and used by the Belarusian military for several years. 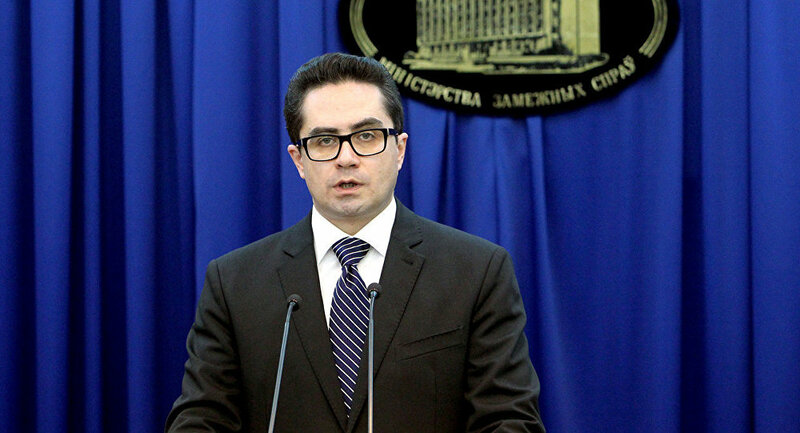 Minsk has responded to all the negative coverage and statements in a restrained manner. For instance, reacting to Ukrainian accusations of Russian troops staying in Belarus after the exercise, Moscow mocked Ukrainian Commander-in-Chief as ‘professionally incompetent’ and elaborated on ‘degradation’ of Ukrainian General Staff. On the contrary, Minsk merely repeated that Russian troops had left. In sum, the West-2017 exercises illustrate two key points. First, Minsk reluctantly joins in any show of power staged by Moscow. For the most part, Minsk can hold its ground when the Kremlin pushes for more aggressive displays of military strength. Indeed, none of this is new. Minsk has defended its position on other major joint defence projects with Russia, such as over the establishment of the Single Air Defence System or the Russian airbase in Belarus. The second point demonstrated by the West-2017 exercises is that it’s really a moot point whether Western or regional states understand Minsk’s policy. 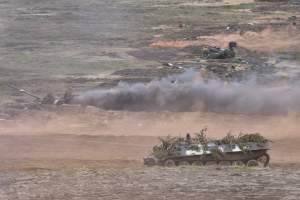 Foreign media coverage of the exercises show that Moscow’s opponents feel somewhat comfortable both with Russia’s exaggerated claims and with the illusions Russia paints of controlling Belarus. The statements of top officials from Ukraine, Poland, and Lithuania in particular demonstrate this attitude. On 24 August 2017, Russian Federal Security Service agents kidnapped 19-year-old Ukrainian citizen Pavel Grib on the territory of Belarus. He is the son of a minor Orthodox Church official and army reserve officer, Igor Grib. Ukrainian society is actively discussing the event and is trying to draw attention to the ordeal of Pavel Grib, who finally found himself in Russian prison in the Russian city of Krasnodar. Officials in Minsk appear to be doing nothing to aid Ukraine, not even in helping to gain an explanation of Russia’s actions on Belarusian soil. The situation is beginning to diminish Belarus’s image of a “neutral state” and independent actor. According to Igor Grib, his son went to the Belarusian city of Homiel on 24 August 2017. Pavel had arranged to meet a Russian girl there who he got to know on the internet. After crossing the Belarusian border and arriving in Homiel, Pavel disappeared. He didn’t return home the next day as promised. Distressed, Igor Grib went to Belarus to look for his son. Belarusian police informed him that Pavel Grib was on the wanted list in Russia. The Russian Federal Security Services for the Krasnodar region and the city of Sochi alleged Pavel was suspected of terrorist activities. According to Pavel’s lawyer, on 24 August 2017, two people in civilian clothing approached Pavel near the Homiel main bus station. They forced him onto a minibus which took him to a forest where he was handed off to other agents. Pavel was detained for several days in a windowless building, his lawyer says. Then an investigation team arrived and formalised his detention in accordance with the Russian Criminal Code. At the police station, Mr. Grib learned that Pavel had been transferred to a detention facility in the Russian region of Smolensk, which borders Belarus. After two weeks, Russian authorities finally provided information on Pavel Grib. He was being held in Krasnodar prison, located almost two-thousand kilometres from Belarus, and accused of terrorist activities. The 17-year-old girl from Sochi called Tatiana, who invited Pavel to meet her in Homiel, later said the Russian Federal Security Services had forced her to work for them. She claimed she was also under investigation in Russia on suspicion of terrorist activities. Now Pavel Grib is writing letters to Tatiana, declaring his love for her and telling her not to worry about him. But the situation is getting worse. Pavel Grib suffers from a serious medical condition that requires regular application of special medication. So far, he has had no access to necessary medical care and his health is deteriorating. This issue has been underlined both by his father and Ukrainian officials. Even on 18 August 2017 when Ukrainian consuls were finally allowed to meet with Pavel Grib in Krasnodar prison, Ukrainian doctors were not allowed to examine him. This series of events is troubling not only for Minsk, but for all post-Soviet states. It may be the first incident in history where, on the territory of one post-Soviet state, another post-Soviet state kidnaps a citizen of a third. The Belarusian regime is shocked by Russia’s provocative behaviour. So far, Minsk appears to have no clear reaction strategy. While Minsk kept silent, Ukraine issued its first official complaint on 31 August. Deputy Foreign Minister of Ukraine Yelena Zerkal stated that Belarus was being uncooperative with Kyiv over the issue of Pavel Grib. People, unfortunately, disappear for various reasons—either by their own will or stupidity, or as a result of the malicious actions of a third party. If the 19-year-old young man was not followed by his parents and the authorities of his own country, there is no reason to lay the blame at someone else’s door. Blaming a country that was chosen as the place for a romantic date or a secret meeting, merely a day after an official request [for information about Pavel Grib from Ukraine to Belarus] is certainly not the behaviour of a partner [country]. This kidnapping is pure provocation from Russia for two reasons. First, Pavel Grib represents no interest for Russia. He has neither access to sensitive information nor is it likely he committed any serious crime. Second, he entered Belarus without issue at the state border. It only became know after his kidnapping that he was on a Russian wanted list for unspecified “terrorist activities” in Russia’s Krasnodar region. The result is negative effects for both Belarus’s international image and Belarus–Ukraine relations. It is necessary to emphasize that Pavel Grib has neither served in the Ukrainian military nor has he visited an Anti-Terrorist Operation Zone (for example in Ukraine’s Donbas region). More to the point, Pavel’s incarceration in Krasnodar prison servers as his very first trip to Russia. Pavel Grib could not have physically been involved in any illegal, terrorist activities on Russian territory. This also suggests that Belarusian law enforcement agencies were not aware of the Russian operation, because according to international agreements, Belarus and Russia share the same database for criminal investigations. The events surrounding the case of Pavel Grib have resulted harsh rhetoric from Ukraine towards Minsk. On 14 September 2017, lieutenant general Vasyl Bogdan, a former serviceman for Ukrainian military intelligence, declared that Moscow is in full control of Belarus and its authorities. 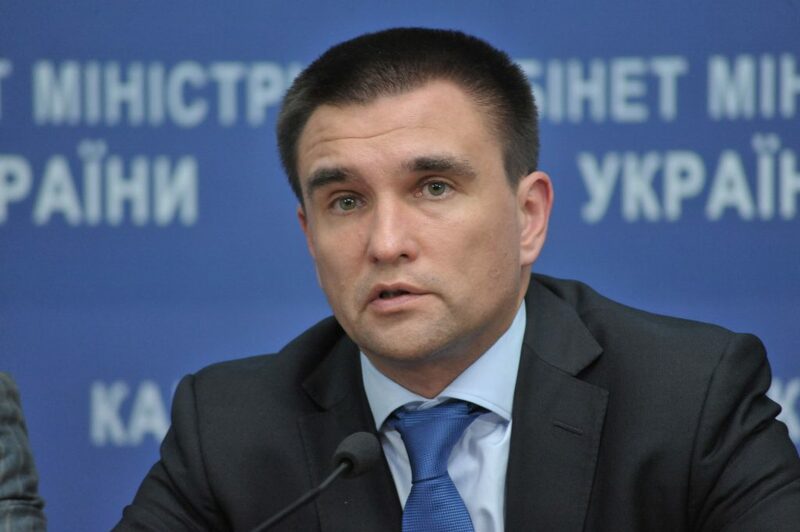 A day earlier Ukrainian Foreign Minister Pavel Klimkin stated, that “Russian special services are also operating on the territory of Belarus,” and Ukrainian citizens should understand that going to Belarus can be dangerous for them. According to Ukrainian experts, at present the Belarusian government is unable to find an adequate response to the case of Pavel Grib. Instead of helping Ukrainian officials, for example communicating with Russian law enforcement agencies on behalf of Ukraine, the Belarusian Foreign Ministry does nothing besides issuing troll-like statements. Indeed, some experts from Ukraine now say they are choosing not to visit Belarus, because there is no guarantee of security. Pavel Grib’s kidnapping and Belarusian inactivity go hand-in-hand to support the suspicions of Western observers that Belarus lacks independence and control over its own territory in the face of Russian provocation. This weakens Belarus’s role as a negotiator and diminishes its image as a neutral state or “donor of stability,” apparently so cherished by officials in Minsk. Russia’s behaviour suggests Belarus is no longer perceived as a strategic partner. What it means to be a close Russian ally is up for question. Russia carries out aggressive activities, like kidnapping a third country’s citizens, on a close partner’s territory. This undermines the image of Belarus on the international stage and harms cooperation between neighbouring states. This does not bode well for the future of Belarus–Russia relations.